So, relatively speaking I haven’t been investing in the stock market that long. I began around the 3rd Quarter FY2013. But I still didn’t put much money into it because I didn’t feel comfortable. I didn’t know anyone who invested excepted for a few co-workers, and most friends and family didn’t invest. Pundits on MSNBC used a lot of terms that I didn’t understand and every now and then, there was the fear mongrelizing that kept me fearful. I also wasn’t as comfortable with my financial knowledge in the beginning. I eased into it more and more over time. As I read more books and learned more, my confidence level increased and I would began to invest more based on the fundamentals. My first real investment came sometime before in the form of a rental property. This is in step with what the average Americans largest investment is in their portfolio, their home. Housing was something very easy for me to understand so at the time, real estate was my major focus. My strategy for stocks then started to follow what products and services that I enjoyed using. These were typically large cap firms. I found out that instead of moving my position and buying and trading frequently, I could just double down on firms that I felt as though the market was undervaluing. Market sentiment can change on a dime for a number of different reason. The Global Economy, oil prices, Greek Debt Crisis, Negative Interest Rate Policy, Central Banks, War and rumors of War; Hell, if a cow farts in India there is going to be some analyst somewhere that will relate that to something that will put people in a panic. Therefore, these factors don’t have much weight on my activity other then seeing it as a buying opportunity when the market overreacts to data. Keep in mind I don’t invest with money I need right away, I am a younger investor and I’m in for the long haul. I have this saying, “I’m not about to let them scare me out of my money”. So on this look back I want to take a look at the stocks that I ended up with after all trading activity beginning 2013 to present date. 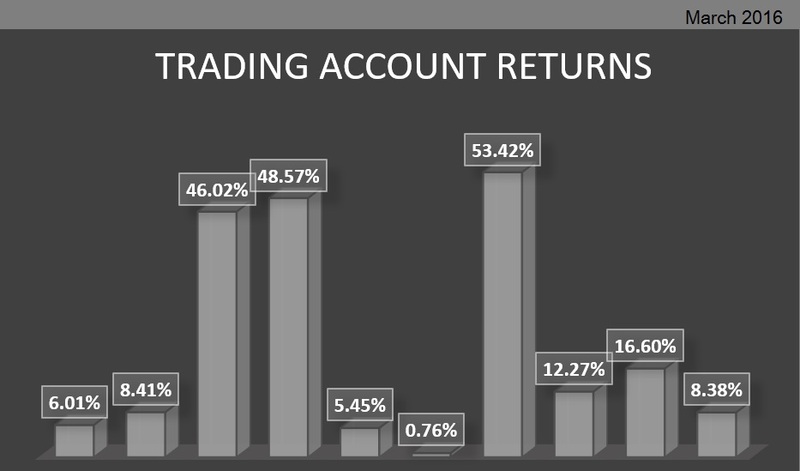 We will look at the returns. What I think about the future of some of them will be covered in a future blog. My portfolio will be changing drastically in the near future, mainly because current market sentiment has put a lot of stocks in buying territory. This isn’t all of my holdings. 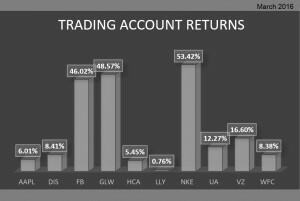 I also have retirement accounts, Mutual Funds, ETFs, Bonds etc.. I’m simply highlighting the individual stocks that I ended up sticking with after various activity in my trading portfolio. 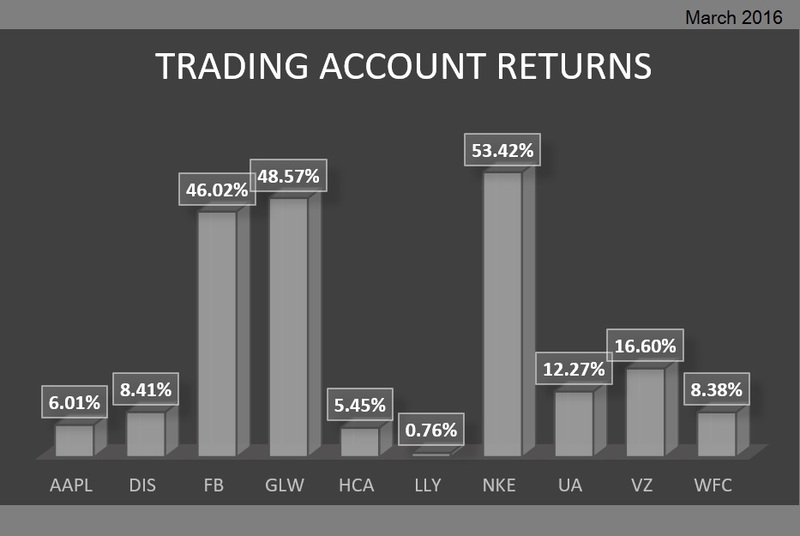 Although everything in my trading portfolio has what I consider upward potential. I am most excited about FACEBOOK. I see a lot of continued growth for a number of different reasons. Back in my archived section ironically written in the beginning of March last year, I ranted about this stock. I encourage you to go and read all the past blogs that are located there. I talked a lot about what I think the future of augmented reality technology. I will be writing more about what I think about this in future a blog on emerging technologies. I will also cover what firms will be best positioned to capitalize on emerging technologies change the way we all do business. I will check it out, I will try to update my site often. all colleagues concerning this post, while I am also zealous of getting know-how. I haven’t began E-Mail subscription as of yet. I will get that started this month so readers can get fast and relevant updates. The site has been up for about a year, I only started taking this more seriously the beginning of March. I did a total redesign of the site March 1. The hardest thing is coming up with good content. The web design stuff was easy.